2-million-page archive of federal case law. Until somebody hit the delete key. Back when disco was king, the USAF decided that those new-fangled computers might be just the thing for the JAG Corps, so they set a bunch of flyboys down in front of keypunch machines and made a database of U.S. law called FLITE. After several turf-grabbing campaigns and a massive meeting of BOGSATT, the system was taken over by the Department of Justice and re-dubbed JURIS. But, the lawyers in Justice were jealous of their pin-stripe buddies in private practice, so they got themselves high-priced West and Lexis-Nexis accounts so that they could be professional. Then, they deleted the JURIS database from government computers so there would be no going back. Today, the U.S. government does not possess a digital copy of the cases and codes that make up the law of the land. One copy of JURIS survives, acquired by the Linguistic Data Consortium (LDC) of the University of Pennsylvania and available under a carefully restricted license agreement to those who pay the sum of $800 and agree not to redistribute the data. The LDC is a group of linguistic researchers and they acquire corpora of linguistic interest to analyze. By prohibiting redistribution and binding their members to such constraints, they are able to acquire commercial databases to analyze. 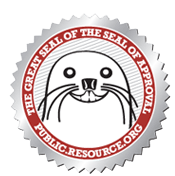 Public.Resource.Org has purchased a copy of the JURIS database and we have requested that the Linguistic Data Consortium free this public domain data so that it may be examined by all. The database consists of 1,665 files totaling 3.1 gbytes. The 522 mega-words in the corpus yields approximately 2,091,628 pages of text. UPDATE: Situation Resolved! We have made the JURIS database available so that you may judge for yourself the importance of these files. Please note that this action has not been officially vetted by LDC and was undertaken solely by Public.Resource.Org. You may browse the directory. 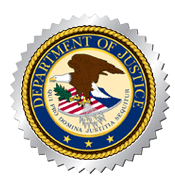 There is a compelling public policy issue in the fact that the Department of Justice deleted 2 million pages of case law after establishing their for-pay contract with a commercial concern. Why did the government delete such a valuable asset that was created at taxpayer expense? Why would a copy not be kept just in case? Why does the government not have a digital copy of their own work product? These are questions relevant to our times. Why would the United States Department of Justice remove 2 million pages of data created at taxpayer expense in order to preserve the revenue stream of a contractor?